Ah, Valentine's Day... those who've been pierced by Cupid's arrow exchange gifts, go on dates and generally tend to up the romance quotient. If you're among those the chubby cherub overlooked, you can still make it a day about love- for yourself, for family and friends or for life in general. Either way, show the world that big, beautiful heart of yours via a pair of sick kicks. 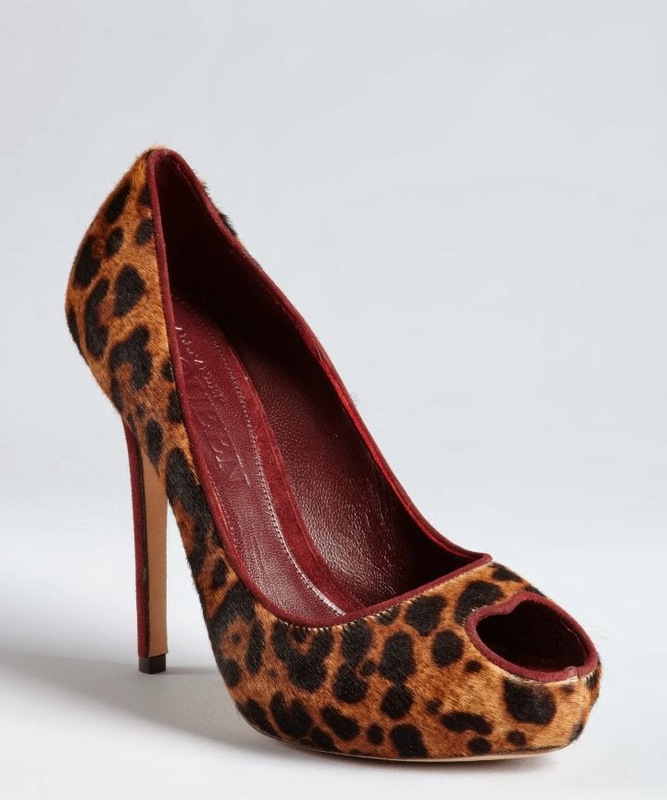 A fierce animal print pump- especially when worn as a neutral- will always up the style ante of your look. The heart cutout on this pony hair peep toe by Alexander McQueen (currently on sale at bluefly.com) makes it a sweet take on a style staple, and the hidden platform means you can dance all night. If your style is more retro-inspired, this suede "Haute Hearts" pump by Seychelles (available at shopplasticland.com) is for you. The cone heel and high vamp nod to the 40s, but the raspberry and red color combination is very now. Wondering what to wear with this shoe? An LBD is your easiest bet, but a ladylike midi skirt will also work well, especially if you're going from office to outing. Everyone knows that rule about white shoes before Memorial Day is outdated, right? That said, pulling off a white pump during the cold months isn't for the faint of style. 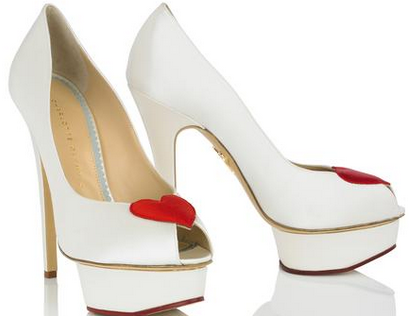 If you've got the chops, rock a heart-accented platform pump, like the "Delphine" by Charlotte Olympia. I'd wear these with torn jeans and a graphic tee or cool sweatshirt- to avoid a toothache-sweet look. Feeling extra feminine? 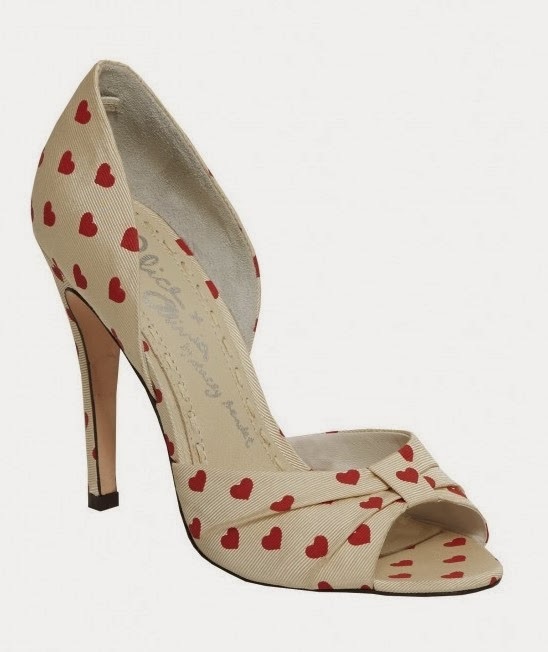 A heart-printed d'orsay pump, like Alice and Olivia's Gigi, is a very girly way to go. In grossgrain ribbon, this one is better for warmer locations, and it'll look adorable with cropped pants or a flared midi skirt. Nothing sets hearts ablaze like a shiny lipstick-red pump, like the "Love" by ShoeDazzle. Heart cutouts add whimsy without taking away from the sexiness, and the small platform provides extra support. If you're single, this shoe is a great way to say your heart is open for business *wink. All the single ladies!!! 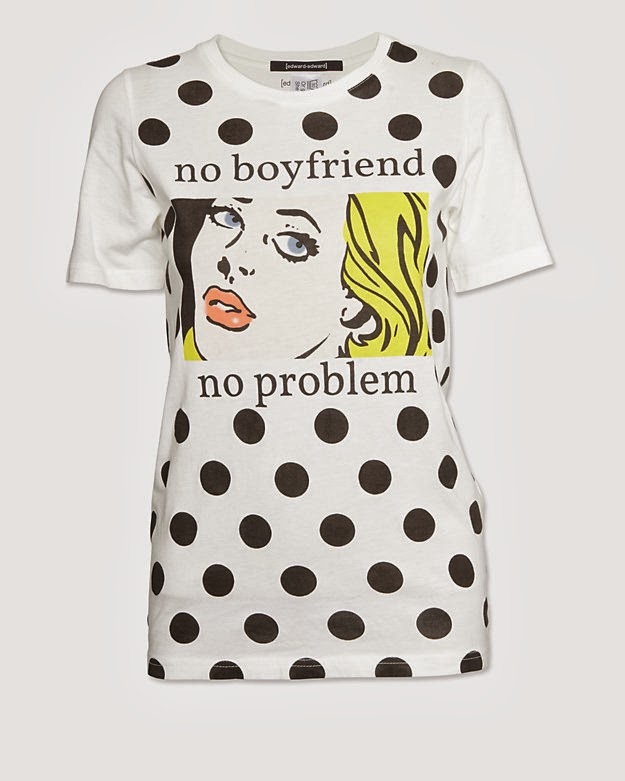 I recently found the most perfect graphic tee EVER!